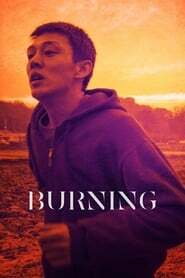 ‘Burning’, by Lee Chang-dong. Author of jewels like ‘Peppermint Candy’ (1999), ‘Secret Sunshine’ (2007) or ‘Poesía’ (2010), all of them programmed in Cannes, besides the very moving ‘Oasis’ (2002), which was seen in Venice , the Korean brings to the screen a story by Haruki Murakami, who stages a love triangle that, as often happens, does not end well. A film very fine, as is usual in this Korean who became Minister of Culture (which would be very implausible in our country), which has left us frankly delighted, even when he risks with a dance, beautiful, to the sound of the trumpet Miles Davis in ‘Elevator for the scaffold’. It seemed impossible for it to ever sound in another film that was not Louis Malle’s classic, and it has remained one of the most memorable musical sequences of the festival. ‘Ash is the Purest White’, by Jia Zhang-ke. A regular of La Croisette, the Chinese also returns to a landscape already well known in his cinema: The Three Gorges Dam, backdrop of ‘Still Life’ (2006), a film with which it keeps other parallels. Tao Zhao, married to the director since 2012, is once again the protagonist. Now as part of the underworld of a mining town in transformation (as always happens in China in general, and in the cinema of Zhang-ke in particular). The film, in which Village People is back, starts off very well in the key of black cinema in the style of ‘A Touch of Violence’ (2013). But it ends up like an accelerated soap opera, quartered with disconcerting ellipses, which detracts from the whole. All in all, it is a movie by Jia Zhang-ke, one of the greats, and some prize will be taken. Although it is not among his masterpieces, we will not disapprove either.